This fiery curry is softened by the sweetness of the shallots and the coconut milk. 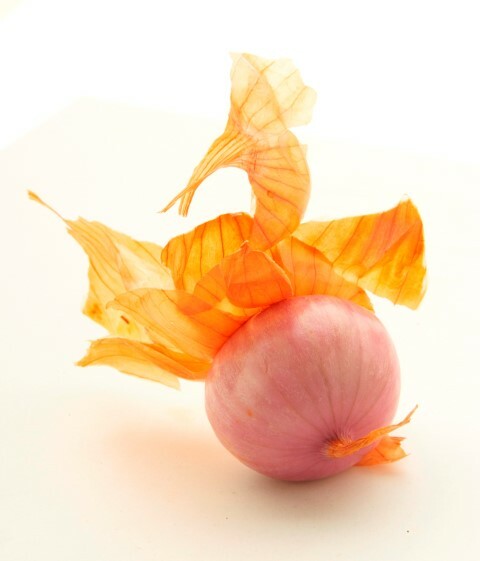 Shallots do not need to be cooked thoroughly like onions and lend themselves extremely well to Indian spices. ‍In a blender or with a pestle and mortar, blitz the chillies, turmeric, coriander, cinnamon, ginger, garlic, salt and two shallots with 1 tbsp of the oil and 2 tbsp cold water to make a coarse to medium paste. In a bowl combine the chicken and the spice paste so all the chicken pieces are coated, allow to marinade for 20 minutes or longer if possible. Heat the remaining oil in a heavy-based pan. Add the curry leaves and cloves and fry for a minute. Then add the chicken and fry for 5 minutes until the spices become fragrant (leave the remaining paste in the bowl for later). Tip in the remaining shallots and continue frying for 10-12 minutes until they are lightly brown on the outside. Pour 100ml cold water and the coconut milk in the bowl with the remaining spice paste and combine. Pour over the chicken and mix well. Simmer for 5-7 minutes until the chicken is cooked. Serve hot with plain basmati rice.